Wing Athletics These are our own mini Olympics when, on Saturday 18th May, Cadets from 1260 Squadron compete against Cadets from squadrons across Trent Wing. In a busy day there are competitions involving running, jumping and throwing with medals awarded to the winners. The best of Trent Wing Cadets will go on to represent the Wing at Regional level later in the year. Wing Athletics is always a great day and all Cadets are encouraged to attend, if not competing there is plenty of cheering needed to support others. The National Air Cadets Adventure Training Centre (NACATC) at Windermere is the location for a week of adventure training including kayaking, mountain biking, climbing and hill walking. Full details, including costs, will be posted at the squadron for interested Cadets to express interest in. Places are limited and competition is strong! Newark Armed Forces Day will take place in Newark Market Place on Sunday 23 June 2019. 1260 Squadron Newark & District Air Cadets will have a stall in the Market Place so please come and visit us and say hello. Wing Field Day takes place on Saturday 6th July at RAF Digby and provides an opportunity for 1260 Squadron Cadets to compete against Cadets from squadrons across Trent Wing. These camps are offered with the purpose of getting Cadets even closer to Service life. Cadets will sleep in RAF accommodation blocks, eat at the airmen's mess and visit the various sections around the station. They will meet the base personnel, as well as take part in sports, quizzes, aircraft recognition competitions and any social activities which may be available. There will be drill, uniform and room inspections and everything will earn points for you as an individual and for your team. Places are limited and in great demand, not everyone who wants to attend will be able to. A sheet, with cut-off date, with more information including the cost of attending will be provided at Squadron for Cadets to express their interest in attending. The annual Trent Wing Camp will take place at Beckingham Camp from the 17th to the 24th August 2019. A tremendous opportunity to take part in a wide range of activities and to meet Cadets from across the Wing this local camp is greatly enjoyed by all who take part. When available further information will be published about the cost of attending. 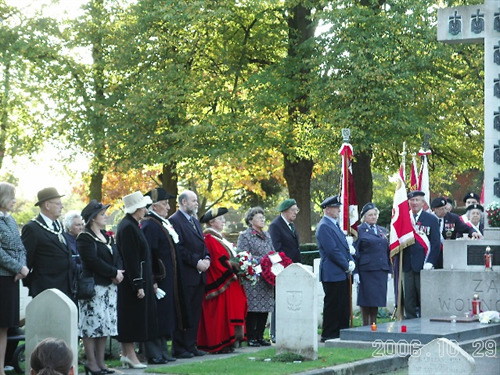 Newark Town Council holds a commemorative service, in St Mary Magdalene Parish Church, in conjunction with the Royal Air Force Association (RAFA). This event usually takes place on the Sunday prior to the national event. Before the service, guests will gather in the Ballroom and be welcomed by the Civic Party at 10.15am. A procession will be formed, which will then make its way to the Parish Church. Wreaths will be laid at the War Memorial, with a fly past by a Spitfire, if it has been possible for the RAFA to arrange. After the service, the guests will return to the Town Hall. There is a parade from London Road car park then a wreath laying ceremony at the War Memorial commencing at 10.55am. The event is usually supported by RAF Cranwell and if possible a flypast will have been arranged. On Sunday 10th November the Annual Remembrance Day Service & Parade will take place in Newark. There will be a parade from London Road car park then a wreath laying ceremony at the War Memorial commencing at 10.55am.